Why are there no good Western games? I’d seen that question posed on RPGGeek & Reddit, even "Ken & Robin Talk About Stuff" covered it. Eventually that had me hunting down Wild West rpgs to check the truth. I uncovered almost five dozen core systems, not counting revisions and new editions. Proof that the Western’s a vibrant genre? But a closer look contradicted that. The list contained many, many single-edition, flash-in-the-pan games. In the same period other genres had more releases by leaps and bounds. Just up to 2000 we see about 14 Western RPGs, but Post-Apocalyptic had about 100, Supers 60, and Horror 45. It even falls behind Steampunk, a late-comer genre, with two dozen games or genre books in that time. But the Wild West remains a touchstone the industry returns to time and again. It has roots in miniatures and wargaming just as deeply as D&D. That echoes through many designs. Even later games often offer deeply tactical play to simulate gunfights. I remember it as a go-to genre for introductory mini games at local cons in the late ‘70’s and early ‘80’s. The Western calls companies out, but only a few exceptional ones remains standing even a few years after they step into the street. I come to this list not as a huge fan of Westerns. That always surprises me. I grew up watching older, Wild West TV shows: Have Gun Will Travel, Maverick, The Rifleman, The Cisco Kid, The Lone Ranger, and best of all Wild Wild West. But I didn’t really care for Western films, except for maybe later Eastwood movies like Pale Rider and Unforgiven. I hadn’t actually seen The Good, the Bad, and the Ugly all the way through until last week when I caught a special theatrical showing. But I bought each edition of Boot Hill, I ran Owl Hoot Trail, and I keep trying to figure out how I’d get Deadlands to the table. So maybe it's more appealing to me than I think? I’ve tried a slightly different approach here. Rather than an exhaustive series going up to the present, I examine the earliest games, the first fifteen. I want to gauge reader interest for taking on niche genres (Pulp, Mecha, Western) or genres almost too large to cover (Sci-Fi, Modern, Fantasy). If there’s enthusiasm (from readers or myself) I may return to do further installments of this genre. I focus on printed products in the list, skipping pdf-only releases. I consider it a Wild West game if it calls itself that or walks like a duck. I focus on core books & systems (which is why something like the awesome Six Guns & Sorcery doesn’t appear). Besides LeGrog, Wikipedia, and RPGGeek, Eric Hotz’s Whitewash City helped in tracking things down. Additional Note: Some of these games have real problems with representation, especially of Native Americans. I'm leaving those issues aside for the most part. It's worth considering elsewhere. 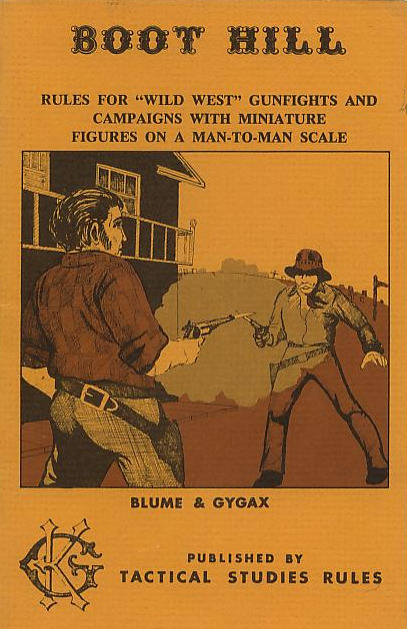 The original edition of Boot Hill offered man-to-man gunfights with miniatures. It came in a smallish booklet, the same size as early D&D products. TSR re-released relatively unchanged it in 1977. Finally in 1979 it popped up on RPG gamers’ radar. D&D had done well and TSR recognized it could create similar games for other genres. 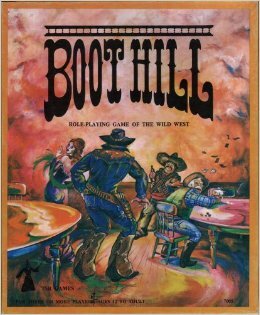 So Boot Hill became a more conventional RPG with a box set release. 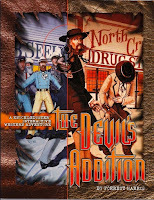 The new edition offered a super-thin set of rules (only 36 pages), a campaign map for Wild West hex-crawls, a city map on the reverse side, dice, and counters. But TSR opted to avoid a standardized system for their early games. D&D, Boot Hill, Gamma World, and Top Secret didn't work together, though conversions were published, including notes in the DMG. Boot Hill managed to hold on for a few years. I remember picking it up and trying to play. Grade school me laughed at the town named Buffalo Chips Junction. But we ultimately discarded Boot Hill in favor of more exciting fare. TSR supported the line with a GM screen and five modules over the next few years. After being buried for a time, the company dug it up in 1990, releasing Boot Hill 3rd edition. This quadrupled the size of the rules, released as a single soft-cover. It massively retooled the system and added much more on the role-playing side, including rules for Stature as fame. TSR made a valiant attempt to bring Boot Hill up to then-current rpg standards. Ultimately this crashed and burned, with no other supplements released for the edition. Fantasy Games Unlimited never met a genre they didn't like. Wild West offered their box-set take on the Western, with a rulebook, map, and reference cards. It focuses on skills, a common FGU games trait. 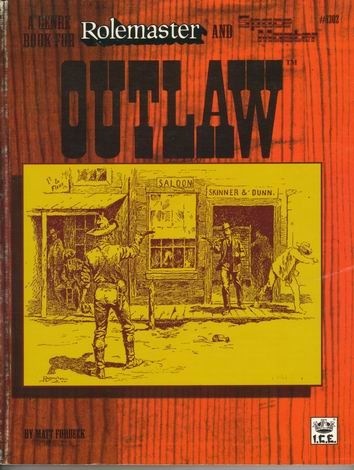 The blurb mentions players can choose from "Gambler, Lawman, Cow Hand, Outlaw, or Snake Oil Salesman." I'm not sure if those are just examples, or if the game has something like classes. 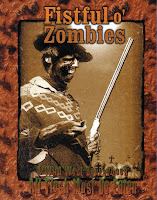 Wild West claims in-depth research and accurate detail (done in only 40 pages). FGU supported the game with a single module, Trouble on Widow's Peak. (1988) Note the gap in publication years. Did I see Desperados on the shelf on my local game store? I don't remember. Companies large and small pumped out many of these small, single volume rpgs. They sat on the shelf until someone took pity or they landed in the bargain bin. I remember visiting pop-up game stores which had clearly bought a "starter store" package from the distributor. Invariably it included a handful of these ultimately forgotten rpgs. Desperados seems Skycastle Games only product product. It followed a standard approach with attributes, percentile-based skills, and hit locations. It has largely vanished down the memory hole. A Swedish game with at least two editions and several modules. Publisher Lancelot shuttered a couple of years after this release. 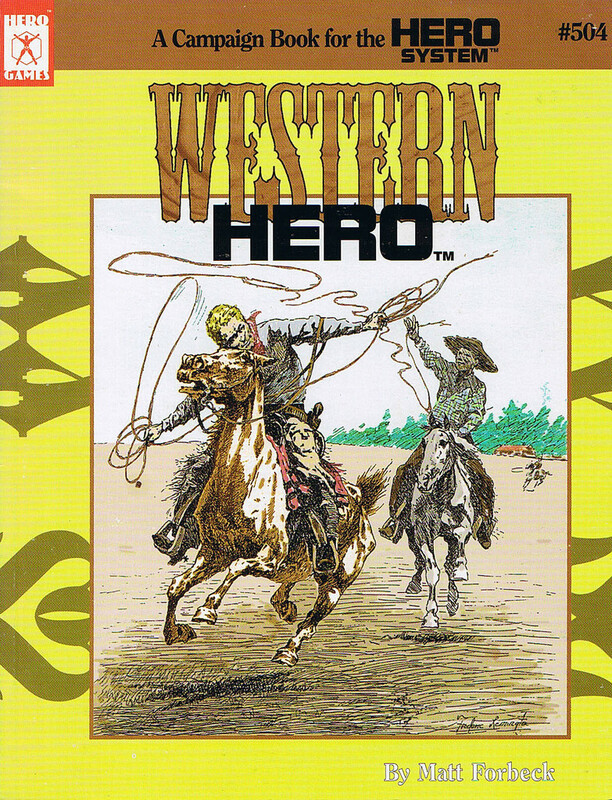 It’s hard to find solid Info on the game, save for this: Western was complex. By that I mean deep and complicated with second-by-second resolution. As will be used several times, it employed a plastic overlay to determine hit location. The cover bears a striking resemblance to the poster for a film called Kid Vengeance. In a G+ post Olav Nygård explains, "Western is probably most famous for being really simulationist while at the same time using a crosshair that makes you more likely to hit if you aim away from your opponent. "The Swedish Roleplaying Games history site reveals that Lancelot also licensed Western to a Spanish publisher. A third edition came out in 1998, with some support. And even a fourth. An early oddball time travelling game. I'm sure most chrono games have a Wild West component or module. It's easy and evocative. (See the Jonah Hex episode of Legends of Tomorrow or Dr. Who’s “A Town Called Mercy”). But Time Drifters puts it on the front page and offers it as the only period or setting in the book. I include it here in the spirit of completeness and since many of these items are more “genre sourcebook” than full stand-alone games. I've played a lot of Rolemaster. Westerns aren't what I think of when I reflect on that system. On the other hand there's an appeal to the lunacy of RM critical hit charts. They could easily represent the random nastiness of six-shooter wounds. But I have a hard time imagining actually playing this. Iron Crown released several products bring Rolemaster/Spacemaster to other genres. Mind you, there was no "universal" version or the system or even base, separate engine. So if you wanted to play Outlaw, you’d potentially have a ton of flipping back and forth. Surprisingly the mechanics only take up the first 50+ pages of the book. We get Brave. Cowboy, Gunsligner, Private Eye, and Solder as professions, each with different skill costs. There's a stripped down list of those...followed by a page of 52 “secondary skills.” Outlaw has some interesting ideas for RM old hands, like handling explosives and gun malfunctions. 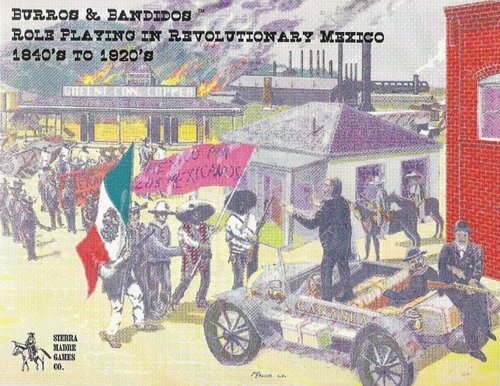 However, the majority of the volume (120+ pages) presents a generic Western Sourcebook. That covers tropes, campaigns, money, a timeline, sample characters, and more. It's a decent resource and feels they wrote that and then hitched up Rolemaster to it. Then we come to the Hero System version of the Wild West. You might recognize it as it's the campaign, sourcebook, and setting materials from Outlaw married to a new system. I'm unsure which game version came first. Perhaps they released simultaneously. Both mention of the back cover that you shouldn't buy this if you own the other I'm glad to see the disclaimer. Even after looking through both, I can't decide which of the two would fit the Western best. On the one hand, Hero has tactical maps and second-by-second play. It could make for a solid shoot-out board game (like Gunslinger). On the other hand, RM has colorful damage and combat, a far cry from Hero's clinical approach. Was there something in the zeitgeist that made the Western a go-to genre in 1991? We saw a new edition of Boot Hill the previous year, and then three sourcebooks for generic systems. 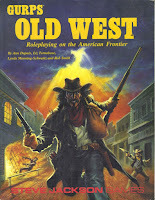 Old West follows the pattern of the early GURPS genre sourcebooks: material for character creation, new skills, ideas for handling special circumstances, background material, NPCs, and alternate takes on the genre. It's a decent resource for Westerns, though it offers more mechanics and stats than general material. In our area several gamers used it to run "shoot out" miniature games. The simulationist approach made that easy and objective. 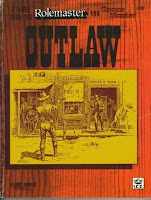 Almost a decade later, Steve Jackson Games revised several of their keystone genre books, including this Old West. That brought it more in line with a new approach to character templates and deepened the historical material. It also made it more useful for the GURPS Deadlands material. The Spanish rpg Far West doesn't have the Spaghetti Western look I'd expect from. Instead the cover has a more classic Hollywood look with "Redskins" and steely-eyed frontiersmen. It uses a stripped down version of Chaosium's Basic Role Play (BRP) with some tweaks. Far West has an interesting mechanic where you can choose to act faster (like when drawing a gun) but that speed reduces your chance of success. Though I'm unsure of how well they're treated, it apparently had a significant section on "Amerindian" cultures and options for shamanic magic. 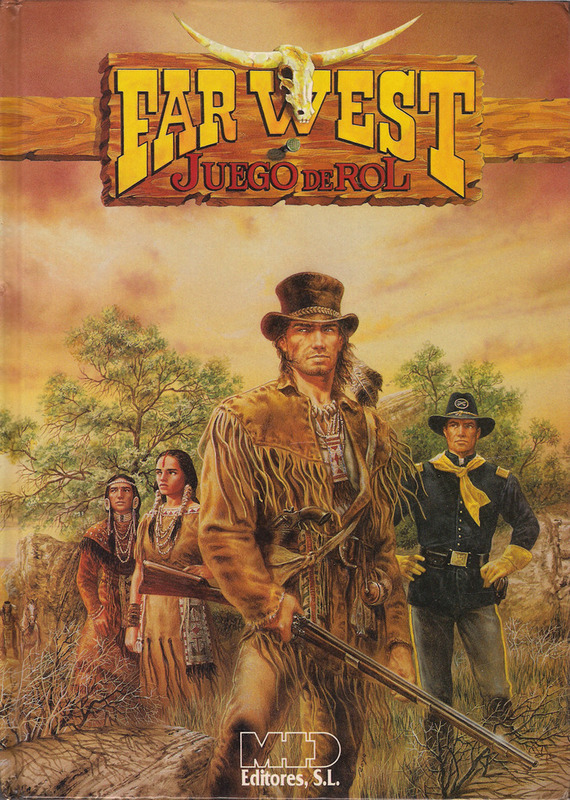 Far West went through two printings with different covers, and received several supplements: two modules (Union Gold and Spanish Ballad) and two sourcebooks (Hogan's Last Stop and Apache). Surprisingly, a new edition seems to be in the works Far West La Leyenda. Or it may already be out, the website's immune to Google Translate. That version has a new logo eerily reminiscent of Deadlands. Still the website has nice art with a striking look. Deadlands saved the Wild West. It almost came out of nowhere. Almost, as Joe Landsdale’s clearly it’s spiritual godfather with his Jonah Hex mini-series "Two Gun Mojo" & "Riders of the Worm" as well as his Razored Saddles collection. But it smartly took a decay genre and made it exciting and fun for the table- blending the Western, Steampunk, and Horror. Deadlands is among the first really successful genre mash ups. Deadlands wears its gaming DNA on its sleeve. It is unabashedly a Western and a Horror game. It engages and entangles those elements at every conceivable opportunity. The genre conventions lend themselves to small groups of adventurers at the margins of society fighting back on their own terms against convention and evil. 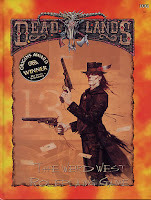 Deadlands is among the best and most successful examples of "cartoony horror." It keeps the crazy, 'laughing as they bury you' energy up. GMs (or Marshals* as they're called here) can run the game tongue-in-cheek or more seriously. Read closely and you'll see Deadlands manages some truly awful horror, and over the course of the line they roped in many awesome writers. They crafted some bits worthy of Lovecraft and Le Fanu. But most groups I knew ran campaigns on the other end of the spectrum- puttin' bullets in the brainpans of zombies. Yet it doesn’t ignore the Western. It takes all of those tropes and plays with them: early industrial developments, the gambler as mage, sinister Pinkertons, Native American mythology, and people driven crazy by the frontier. It’s a post-modern Western, but not in the vein of Unforgiven. Everything’s reconfigured, but the message isn’t about personal failures and moral codes, but humanity’s foolishness and the legacy of colonialism as Elder Gods. The Western tropes aren’t critiqued so much as they’re flung against the wall to see what sticks. As importantly, Deadlands grabbed the reins of gaming and took off in another direction. It moved away from the twilight years of D&D and the dark and sometimes self-important atmosphere of White Wolf. Few other games brought so many cool gonzo ideas to the table and presented them in a super-accessible way. It was hugely popular among YA players looking for a way to break into rpgs. Deadlands showcases itself as dumb fun. But underneath it has some super-sharp ideas about system and setting from some of the best designers of the time. In the late 1990's Italian publisher Stratelibri published a series of Basic Roleplay supplements. These filled the gap as Chaosium slowed down releases of non-CoC items like Elric! supplements. The line included a new BRP core book, a Jurassic Park pastiche setting, Pharaoh's Egypt, and a licensed adaptation of the Alien universe (!). 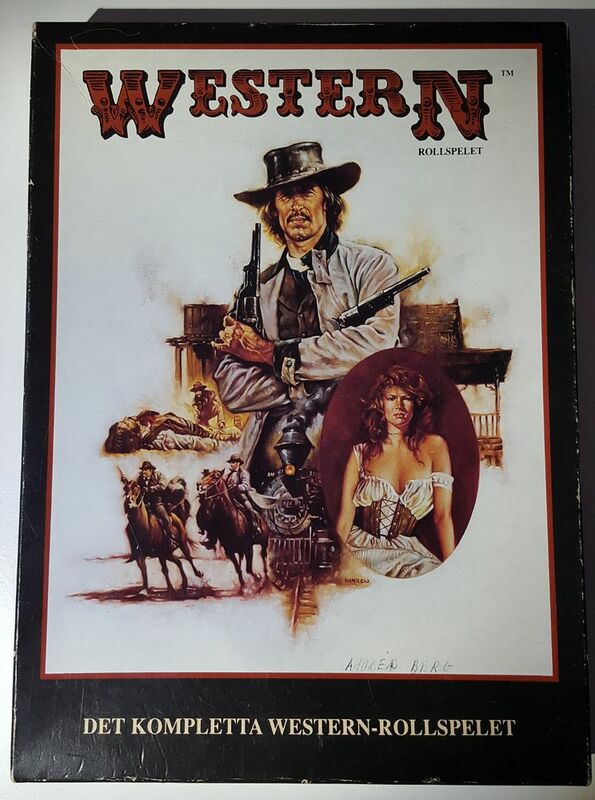 The imaginatively named West offered a slim (48 page) set of Western rules. It aims for a conventional approach with three scenarios and no rules for Native Americans. There's setting material, special rules, and additional skills for the BRP system. And of course as is appropriate in these games, detailed new rules for guns and gunfighting. Oddball coincidence or enemy planning? This came out the year after Deadlands. I have to wonder what the lead time was? Did WW see the success of DL and make this the next "historical" game they put forward. Or was WtWW already in development and playtesting, making the company sigh that they hadn't beaten Pinnacle to the punch. This game garnered a couple of supplements, but eventually died out. They did produce a number of cross-over adventures for the two games. I wonder if that was the first instance of that? A "Choose Your Own Adventure" in the vein of Steve Jackson's Warlock of Firetop Mountain or the TSR Magic-vision modules. This is a solid book, 135 pages standard size. According to the publisher, the game contains "…four-hundred episodes, forty endings, and at least eighteen ways to bite the dust!" “Knucklerduster Interactive Adventures” uses stat+skill for resolution with d6's. 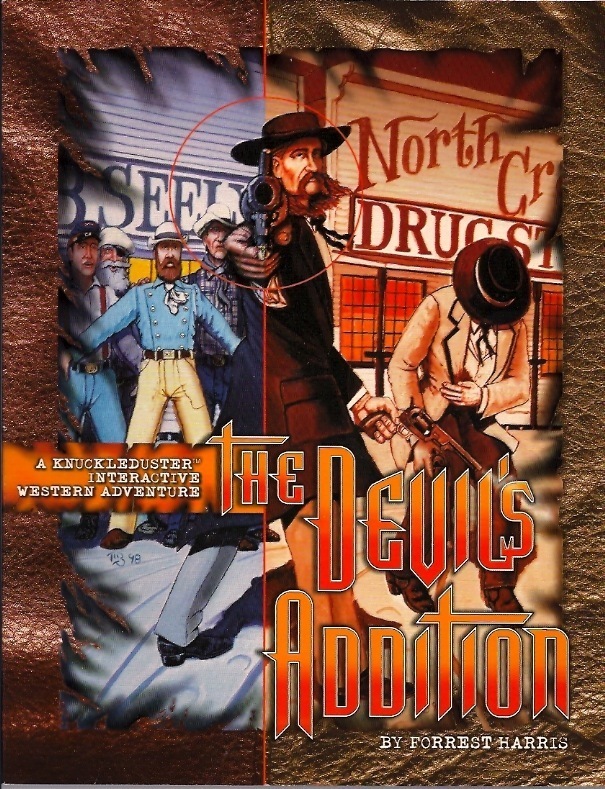 The Devil's Addition takes place in Abilene with you on the trail of a dangerous outlaw. A second book, Raining Hammers: The Ballad of Johnny MacDonald dropped the following year. That has you clearing your name by bringing the real killers to justice. 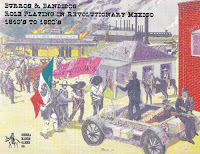 It’s set in the mining camps of New Mexico in 1883. 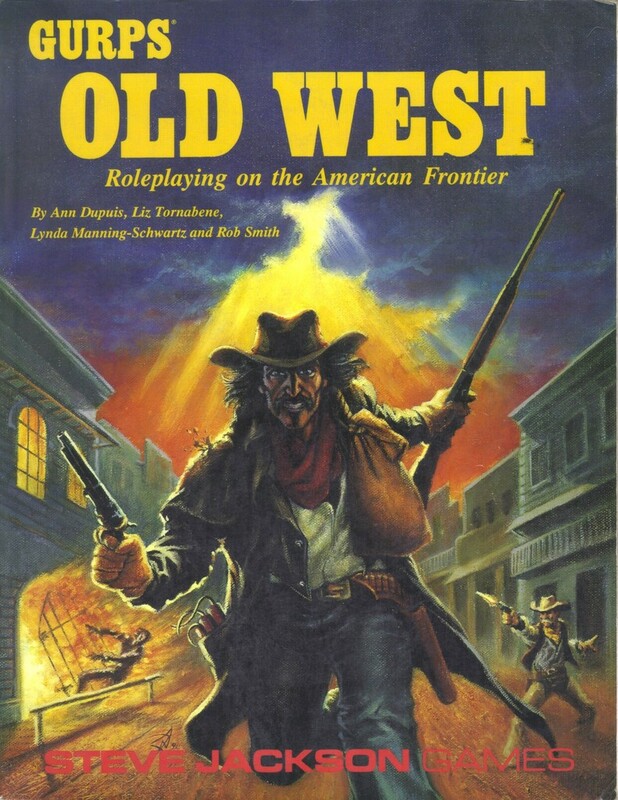 Knuckleduster games shifted away from these solo rpgs to more generic Western materials a few years later. Knuckleduster Firearms Shop is a generic period weapons book, with an additional essay on the psychology of gunfighting. That's probably useful if you're into gun-love supplements. On the other hand, Knuckleduster Cowtown Creator feels like a stronger book. It’s a universal sourcebook for building Western towns and communities, clocking in at almost 300 pages. It sounds like an awesome GM resource. Cowtown Creator’s still available from the company, now called Knuckleduster Miniatures. They're clearly shifted over to the wargaming side. As we've seen before, there's a good deal of overlap between Western rpgs and miniature gaming. A small, 32-page complete rpg from Gold Rush Games. This landed during the company's efforts to release many different games using the Fuzion system. Interestingly GRG also had the generic Action! System going at the same time. The Legacy of Zorro came out a few years after The Mask of Zorro movie and around the time the syndicated show Queen of Swords arrived. The latter riffed on the themes, but with a female Zorro. It's neat to see some less traditional stories explored in Wild West rpgs. Zorro's still a Western, but embraces a costumed crime-fighter aesthetic. I remember watching Disney's version with Guy Williams, the dad from Lost in Space (a distinctly non-Hispanic actor). In any case, The Legacy of Zorro clearly aimed to be an introduction to role-playing, with perhaps other purposes. The back cover blurb mentions that it "Promotes story-telling & cooperation!," "Can be used to teach history!," and "Includes color cut-out figures!"